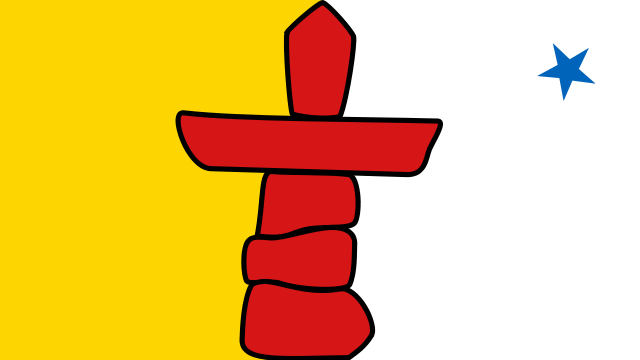 Nunavut is the largest territory in Canada, and it’s also the newest and least populated. It was part of the Northwest Territories until 1999, when it was separated as part of the biggest Aboriginal land claim settlement in the history of the nation. According to the 2011 census, the population of Nunavut was 31,906 (spread out over an area the size of Western Europe). The largest percent of the population identify as Inuit, with the Inuktitut language being the most widely spoken. Iqaluit is the largest city and territorial capital of the region, and it’s also the smallest capital in Canada with a population of just over 6,700. There are no professional sports teams in Nunavut due to the extreme weather, isolated location, and small population. Most athletic competitions are amateur affairs, although the territory has hosted the Arctic Winter Games on occasion. Still, anyone who wants to wager heavily on the home team might consider moving elsewhere. There are no major colleges or universities in Nunavut, so there’s little chance of collegiate-level gambling taking place. In order to wager on such events, gamblers need to either find an online sportsbook or travel to a neighboring province. Sports betting is legal in Nunavut as long as you stick with the version offered by the Western Canada Lottery Corporation. This organization serves Nunavut, Alberta, Saskatchewan, the Northwest Territories, Manitoba, and the Yukon Territory. The use a service known as Sport Select, and it can be accessed online or at retailers throughout the region. • Convenience – A ticket can be picked up while you’re buying groceries, allowing you to multi-task and save precious time. • Cheap – Most games are available for as little as $2. • Major Sports – All the most popular sports are covered, including football, hockey, soccer, baseball, and basketball. • Legal – You can play this game without worrying about breaking any laws. • Limited Selection – While the major sports may be covered, there are plenty of games that aren’t available. This is one area where online sportsbooks are clearly superior. • Poor Odds– Since Sport Select is the online legal game in town, they offer worse odds than their online counterparts. This can add up to 20 cents for every dollar wagered, which can make a big difference in the long run. • Parlay Bets – In accordance with Canadian law, all sports bets must be made in a parlay fashion (more than one game at a time). This makes it harder for customers to win, especially when you consider that all picks must be correct in order to receive a payout. • Pro-Line – Players predict three to six games while wagering up to $100. Options include a home win, a visitor win, or a tie. • Point Spread – Bet up to $100 while picking the winner of at least two games. The point spread must also be factored in, just like in the wagers traditionally offered by Las Vegas bookmakers. • Over/Under – Predict whether the final score of a game will be higher or lower than a predetermined number. Up to twelve games can be wagered on, and the maximum bet is $100. • Pools – This $5 contest allows you to compete against other players by predicting all the winners in an upcoming slate of games. The participant with the highest total at the end of the contest gets the money in the prize pool. • Props – Predict which of two athletes will do better in a statistic such as passing yards or goals. Up to six selections can be made, and wagers run from $2 to $100. • Double Play – Combine Pro-Line and Over/Under bets on the same ticket for up to six games. Bets run from $2 to $100. • Combo Play – Bet on the same game using a series of combinations such as Over/Under and Point Spread. Two to five wagers are possible, with each costing $2 to $20. There’s nothing illegal about wagering on sports over the Internet in Nunavut, and it’s one of the best options for people who are dealing with snow and freezing temperatures throughout much of the year. Anyone living in the capital city of Iqaluit should be able to take advantage of this service, although residents in more isolated locations may have to deal with a lack of Internet service. Once you’ve found a site that accepts Canadian players, make sure to do some research before opening an account. While plenty of online casinos and bookmakers are legitimate, others refuse to pay out winnings. Check out multiple online reviews to be safe, especially those from trusted watchdog sites. • Friendly Wagers – This is the oldest form of gambling, as it involves two people meeting face-to-face and making a wager with each other. You can set the point spread or over/under however you like, or you can just wager straight-up on the winner of the game. Since no bookmaker is involved, this form of sports betting has the added advantage of eliminating the vigorish. Just make sure that you can count on your friend to cover their losses, otherwise it might spell an unpleasant end to your friendship. • Local Bookmakers – These individuals operate under the radar and offer sports wagers to their customers. They often take their betting lines from those set by Las Vegas bookmakers. While not considered a legal form of gambling, they do offer an additional option for those who are desperate to wager on athletic competitions (especially the single-game option that unavailable through Sport Select). Nunavut is an isolated and harsh land, but residents can still enjoy sports betting thanks to local parlays and online sportsbooks. The odds from the latter and definitely the best of the two, but some residents still prefer to grab their tickets while loading up on supplies at the local gas station. No matter which type of service they choose, residents of Nunavut can stay connected to the rest of the world via the power of the Internet and a mutual love of sports.